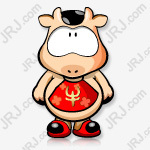 On February 11, A shares ushered in the first trading day of the Lunar New Year, and the pig market ushered in a good start. At the close, the Shanghai Composite Index closed at 2653.90 points, up 1.36%. The Shenzhen Component Index and the GEM Index both rose more than 3%. In a bleak market in 2018, Chongyang, Puibei and Gaoyi assets ranked among the top three in terms of tens of billions of private equity. On the occasion of the start of the new spring, we have reviewed the prospects of the three large private equity institutions for the post-holiday market for readers' reference. During the nine-day break, Gao Yi Assets released an annual repertoire – a record of 20 company executives and 2019 “fireplace talks” at the core of the research. Qiu Guolu, Chairman of Gao Yi Assets, Deng Xiaofeng, Chief Investment Officer, Sun Qingrui, Managing Director, Zhuo Liwei, Chief Research Officer, Feng Liu, Managing Director, and Wang Shihong, Managing Director, all attended the meeting, reviewing the past and looking to the future. Wang Shihong believes that no matter what the market is, the most important thing is to go in the right direction. “When the tide recedes, there are still companies that have room for growth and a high moat. Even if it is frustrated, the adjustment is very small. So we have to look at companies that have long-term value creation so that they can cross the 'Bears and Bears'. "In 2018, the experience left for private placement is that it is important to control the retracement and to be more rigorous in insisting on the buying and selling options. On the investment target, Wang Shihong said that the business that is optimistic in 2019 is the same as the business that is optimistic in the next five years. "Looking at the long video paid by China, optimistic about China's short video, optimistic about the penetration of China's third- and fourth-line retail content, optimistic about cloud business, Optimistic about the software, optimistic about chain shopping." In the middle of 2018, Feng Liu, who gradually reduced the proportion of Hong Kong stocks and increased the allocation of A shares, said: "In the long run, some opportunities in 2018 can’t stand the scrutiny. The inspiration for it is that the market is in a rebellious period. Therefore, we must break the past. The rebellious behavior certainly does not represent the future, but it will declare the end of the past. So the style of 2017 should not be repeated in 2019." In terms of investment preference, Feng Liu said, "I like stocks that have been bearish for a few years. I will see a wide range of topics. The industry involves a lot of people, shallow coverage, and finding things that fall in love at first sight. If you want to come together too much, it is generally pit. Because there will be too many other things, not pure enough." Deng Xiaofeng, chief investment officer, said, "China must integrate into the world. Enterprises need a global market to cope with Sino-US competition. If we isolate ourselves, then only 1.4 billion people in the market will never be able to beat a company with a broader market. In the final analysis, competition among countries is the competition of enterprises.” When it comes to investment, Deng Xiaofeng feels that 2018 is the most stressful. “Because 2018 is like the process of landing, the plane flies, suddenly the engine is not oily, it is forced to land. The most difficult, the most challenging, and the most risky." Therefore, relatively speaking, when the expectation falls, the stock price falls, the valuation level is adjusted down, and the profit is lowered. From the perspective of investment, 2019 will be more convenient and safer, because the process of landing has passed. Specifically in the portfolio management of 2019, Deng Xiaofeng proposed two angles. The first one is "after the performance of listed companies in 2019, the company knows the bottom of the profitability of the head company in this industry." He believes that in the past, growth was the main line of society, the growth of profitability of the capital market, and the growth of EPS. Pay more attention to, and ignore the quality of profit. Under the new situation, growth is no longer inevitable, and the mode of business and the quality of profit are more important. The second point is that if a large class of assets will have a positive return ahead of the overall equity class, it may generally meet several indicators: First, the asset itself has a strong Alpha attribute, which is both high quality and The stage of growth. Second, the negative expectations of this type of assets are reflected enough. From the industry point of view, electric vehicles may still be the direction that Deng Xiaofeng spent more time in 2019. Qiu Guolu, chairman of Gao Yi Assets, also maintained an optimistic attitude. He believed that no one should be wasted. "Any imagination that is too good for the future is likely to be impossible, and the excessive panic about the future is likely to fail." He believes that the market may enter a new round of asset shortage, and quality assets will once again be scarce. "Now it is obviously a small liquidity trap. Several mechanisms of currency transmission have been blocked. Whether it is off-balance-sheet, local government or real estate, the largest capacity amplifier is broken, and liquidity is likely to be staged. Excess liquidity is likely to run to quality assets." In terms of investment preferences, Qiu Guolu still prefers to buy high-quality leading companies. He calls it "the moon", that is, there are no rivals in the industry, there is pricing power, "thick and thick" and good anti-risk ability. In the industry, Qiu Guolu has long been concerned about financial real estate, brand consumption and advanced manufacturing. Among them, banks and insurance are still relatively optimistic. In addition, the differentiation between banks has also been noticed by Qiu Guolu. "The quality of good banks and bad banks is three times worse and four times more, but the valuation is only 50%-60%. The expected difference is very high. Big." Zhuo Liwei believes that 2019 may be a year of differentiation for leading companies. In the context of weakening economic growth potential and relatively weak terminal demand, the differentiation of capabilities among leading companies may emerge. Those products are more powerful, digitally capable of operating, corporate governance structure is better, and organizational structure is more in line with the Internet era. A small number of leading companies (but not necessarily the current first) will gradually accumulate the "scale and agile" innovation ability, and the company between the industry's leading TOP5 may also have a valuation differentiation. In the industry, the focus will be on the basic disk of brand consumption and services, the industry Internet, advanced manufacturing, and industries that are at the critical point of technological accumulation. Sun Qingrui said that the most important concern in 2019 is the degree of matching between economic growth and money supply. "For example, what kind of growth rate is M2 on the deposit side, what kind of growth rate is the loan end, what is the degree of matching with nominal GDP, and if it is loose, how is the exchange rate, exchange rate? What is the reflection of the appreciation and depreciation. There are many influential factors in this, such as the credit, the strength of the growth of the US dollar and the US itself? What is the strength of the euro?" The cycle of trade friction will be longer, and the potential growth rate of China's economy will slow down. The most competitive companies in this process will run out, so overall it is still necessary to find a more certain, competitive, and able to run out of the company. In addition, Chongyang Investment also released the new spring outlook of “Peaceful, Optimistic Success” during the market. Chongyang Investment believes that looking at the current market with a rational optimistic eye, it should be said that the worst period has passed and some new positive factors have been accumulated. Looking internally, with the data of social growth and fiscal expenditures exceeding expectations in December, the counter-cyclical policy has gradually emerged. The credit easing of the central bank's sharp RRR cut and the newly created perpetual bond swap tool has further increased. The credit tightening caused by “de-leverage” has begun to ease and gradually shift to credit easing. The market's pessimistic expectations for the economy have begun to be revised. Looking at the outside, both China and the United States have realized the reality that "the two benefits are the same, the two are the two," and the Sino-US trade negotiations are still progressing as expected. The Fed’s interest rate hike was suspended and international funds re-inflowed into emerging markets. At the same time, the current depressed market also provides a better environment for value investors. This does not mean that we ignore the risks and challenges faced by China's economic transformation, but rather decisively lay out the winners of structural divergence in the new year with a more rational and constructive perspective. Hu Jianping, founder of the investment and investment committee chairman of the company, said in a 2019 telephone strategy meeting, "After a relatively difficult year in 2018, we feel that a good probability of 2019 will usher in a better starting point. We can't guarantee that we will have a very good turn right away, but overall we are still in a relatively favorable position from the perspective of two or three years." He believes that in the overall environment of 2019, for stock investment, there are many things that are seen now.Mid-ChinaThe economic view will slowly have some positive changes, but the short-term is still mainly subject to the pressure of listed companies' performance and economic downturn. The more important indicators may still be the total amount of social welfare, and whether the trend of social integration can stabilize, which may be an important indicator that financial resources can really flow to the real economy. In the telephone strategy meeting, Hu Jianping said that in general, the strategy that will be adopted by the company is to select some stocks from the bottom up within the scope of its own risk tolerance and gradually increase the positions. Financial stocks are a relatively promising industry for the long-term investment of the company, and it is also a relatively high industry in the current position structure.